“There was nothing ‘sharky’ about the movement patterns we were tracking,” Bradley said. Instead of staying relatively close to shore, the tags had moved thousands of kilometers across the Pacific Ocean at speeds much faster than a reef shark is able to sustain, she explained. Some tags even ended up in local ports in both Guam and the Philippines. 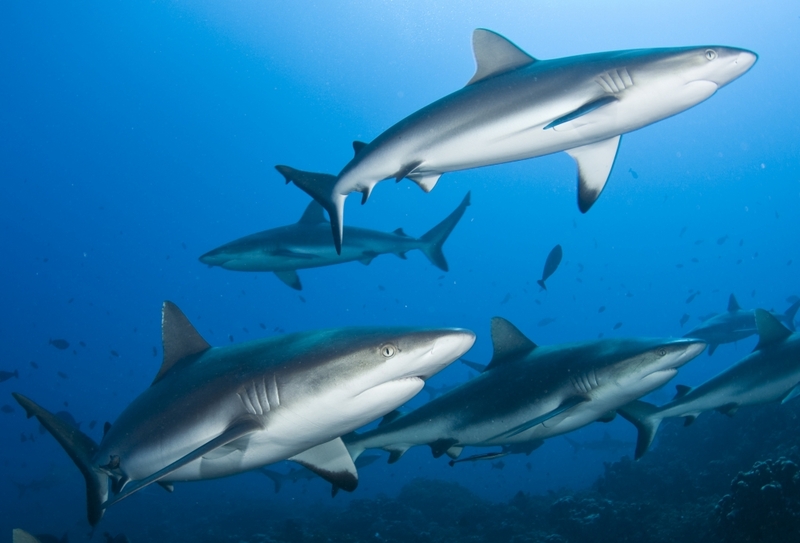 It was a worrisome situation, according to the researchers, especially since RMI in 2011 adopted sweeping protections for its sharks — becoming among the first in the world to do so. Based on this recent incident, if the observed rate at which the sharks were captured (and presumably killed) were to occur over a large spatial area, the researchers estimated that even a healthy population would collapse to less than 10 percent of its unfished state in fewer than five years. The group’s paper, “Leveraging satellite technology to create true shark sanctuaries” is published in the journal Conservation Letters.